ICC prosecutor says if Israel does not hand over information on Gaza op, she will be forced to open full-scale 'war crimes' investigation. 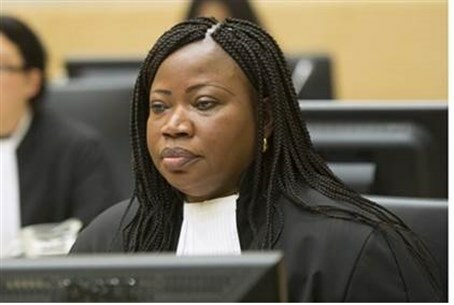 The International Criminal Court's chief prosecutor warned Israel on Wednesday that if it didn't provide reliable information on Operation Protective Edge, she would open a full-scale investigation based solely on Palestinian claims of Israeli war crimes. Fatou Bensouda told The Associated Press that she hadn't received any information from either side about the war in Gaza last summer. She then urged both Israel and the Palestinians to provide information for her preliminary probe. "If I don't have the information that I'm requesting," Bensouda stated, "I will be forced to find it from elsewhere, or I may perhaps be forced to just go with just one side of the story. That is why I think it's in the best interest of both sides to provide my office with information." The Palestinian Authority accepted the ICC's jurisdiction in mid-January, officially joining the body on April 1, amidst a wave of other unilateral attempts for statehood. While the PA is certain to provide the ICC with "evidence" of alleged war crimes during the Gaza conflict, Israel appears less forthcoming, consistently denouncing the PA's action as "scandalous." Bensouda told AP that her office is "making attempts" to reach out to both the Israelis and the Palestinians. The prosecutor has already received information "from others regarding the preliminary examination." She did not, however, elaborate on who those sources and groups were. Bensouda was willing enough, though, to reveal that her office was trying to get a copy of the recently published Breaking The Silence report "to see how it can assist us in the preliminary examination phase." The report, which includes allegations of indiscriminate fire on civilian targets by IDF soldiers in Gaza, was tellingly ordered and financed by a Palestinian Foundation based in Ramallah called the Arab Human Rights Fund (AHRF). While Bensouda acknowledged the preliminary probe was certainly a hot button issue, she stressed it would "be conducted in the most independent and impartial way, devoid of any political considerations."